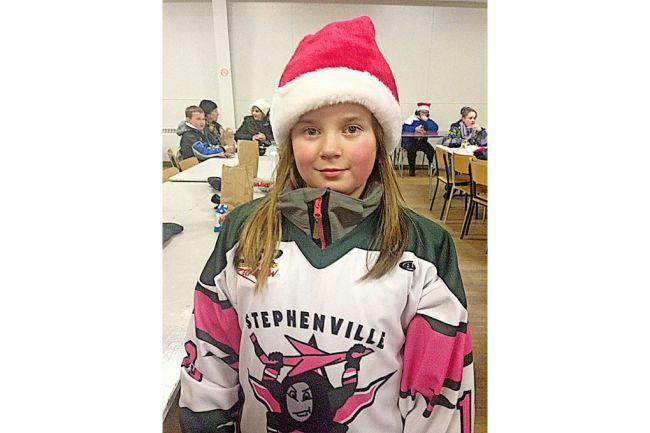 A gold rush for Stephenville female minor hockey players. 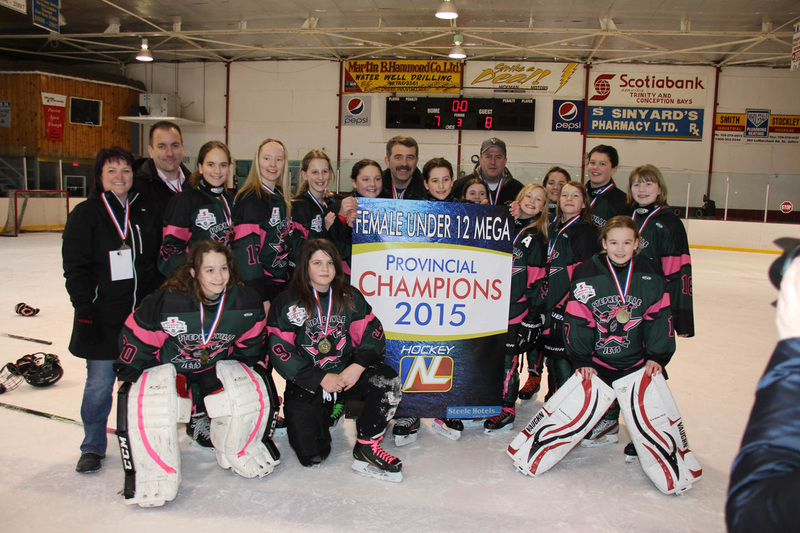 Stephenville won gold in the A division at the provincial Under-12 female mega hockey tournament. Members of the winning team include, from left (front), Danielle Duffy, Gracie Furlong and Kaylee Strickland; (back) manager Barb Elliott, assistant coach Trent White, Katie White, Samantha Trask, Gia Caul, Cathy Morgan, head coach Shane Elliott, Carmen Elliott, Kendyl Hickey, assistant coach Paul Hoskins, Abbi House, Abby Morgan, Raleigh Bennett, Taylor White and Emma Butler. 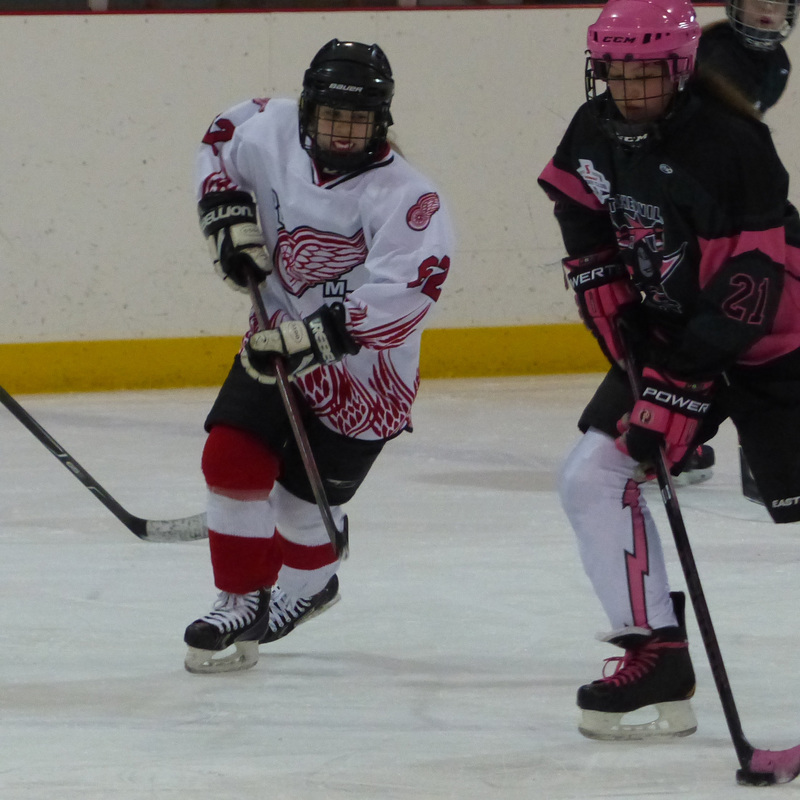 Emma Joan Major of Deer Lake, left, chases down Stephenville's Taylor White in the final at the Under-12 female hockey tournament. 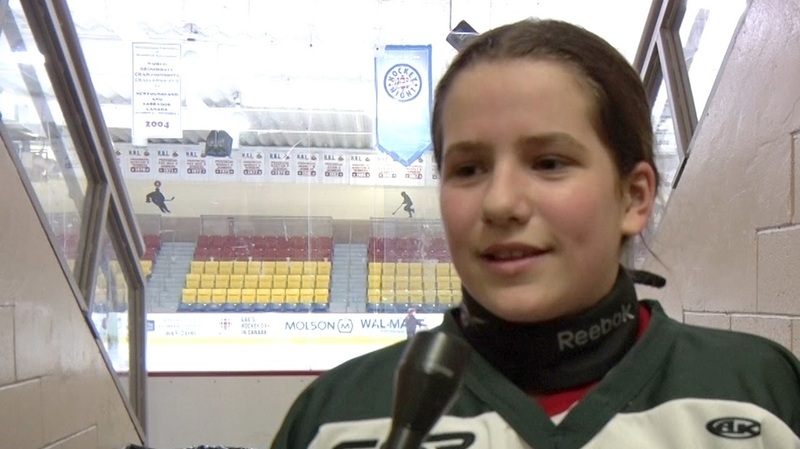 Chloe White of Stephenville, daughter of Betty White and Brian Lush, is enjoying her first season of organized hockey with the Stephenville Minor Hockey Association.